OK so I decided to do another Top 5 today, but my original intent has, erm, blurred a bit. I started with a Top 5 Magic Kingdom attractions but found that much too difficult. Keeping that to just five is much too difficult. I may have to extend that one to ten or so. On account of I am indecisive. So, as I do often when I have trouble making a decision (or trouble doing anything), I made the transition to alcohol. And it’s not like picking my top 5 alcoholic drinks in Walt Disney World is an easy feat either. I mean, honestly, I could probably have done a top 5 cocktails in EPCOT and still had trouble. But, I mean. Alcohol. So let’s get our drink on. A caveat here. I love beer. Beer is good. But…I don’t know, putting beer here felt like it wouldn’t make for as varied a list. But just know, me + beer = 4-eva. As with my previous lists, these are in no particular order…You really can’t go wrong with, like, any of these. 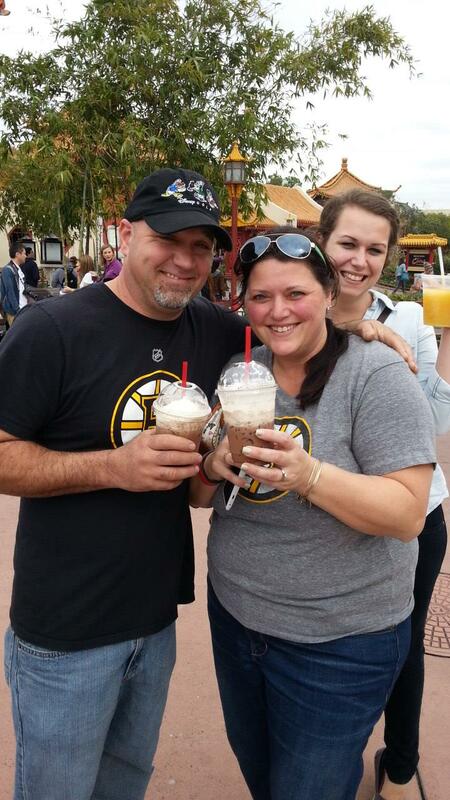 Tipsy Ducks In Love (Joy of Tea, EPCOT China Pavillion) – Ice Coffee. Cold Tea. Chocolate. Whipped Cream. I enjoy all of these things. And together, they would be awesome. But. BUT. Add in a very generous pour of Jim Beam? And it’s like whoa. Tipsy Ducks in Love is bomb. Seriously, I cannot go to EPCOT without getting one of these. But beware – it’s got a lot of Jim Beam in there even though you may not taste it all. Seriously, watch them pour it. It’s no joke. Bonus – pair your Tipsy Duck with an egg roll (snack credit! Ohey) and you, my friend, are in bizness. 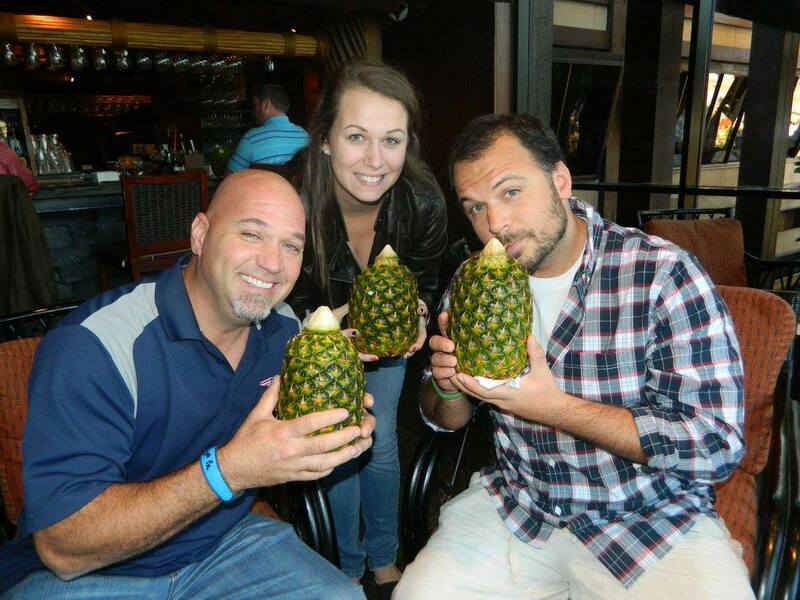 Three tipsy ducks (Nickie, Jeff and Shannon)….and their drinks. Lapu Lapu (Tambu Lounge, Polynesian) – As with any tropical drink, when people ask me for ingredients, I say, “rum and fruit juice.” But to be more specific, the Lapu Lapu contains Meyers Dark Rum and fruit juices with a floater of Bacardi 151. And to be more specific – IT IS SERVED IN A PINEAPPLE. And like, not a plastic pineapple or anything but a real pineapple. So it’s obviously good for you. Hrm, Jeff and Shannon again? They may have a problem. Frozen Rum and Coke (somewhere in Animal Kingdom) – Honestly, this one is so simple. It’s a frozen coke, with rum. And I really actually do not even know where we got it. But man, when Nickie and I stumbled on it, it really made our day. It was refreshing. And rummy. 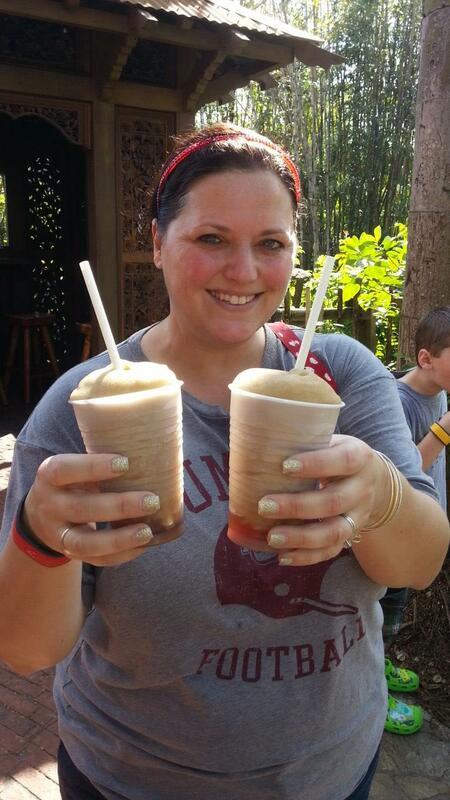 Animal Kingdom is a walking park for sure…and having a frozen rum and Coke in hand really made the walk…more pleasant. 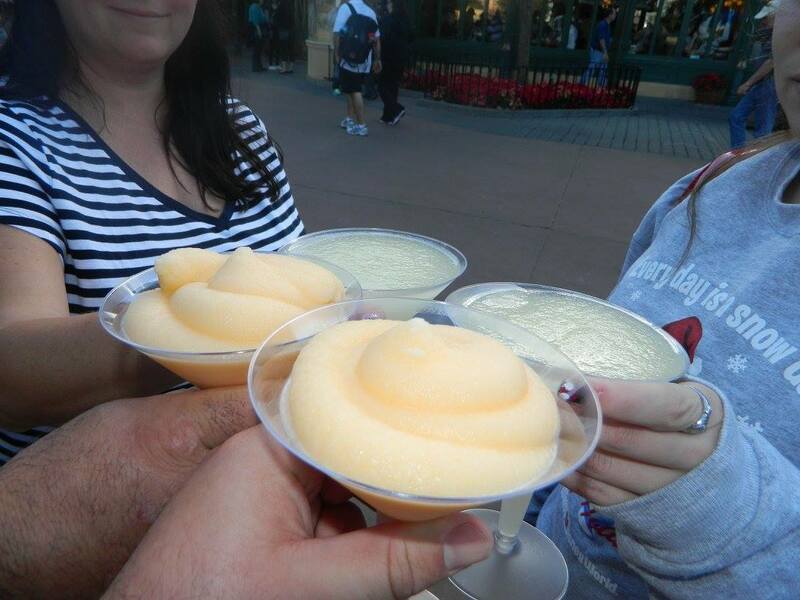 I will say I have not tried the alcoholic Dole Whips yet, but I am assuming they are awesome. I plan on trying one in April when we go back. Also – I know Disney’s partnership with Coke has officially ended so who the crud knows if these will even be there anymore. So to sum it up – its essentially just frozen Coke with Rum. I don’t know where to get it. And it might not be there anymore. You are welcome. They are elusive, but worth the search. Also, Nickie is pretty. 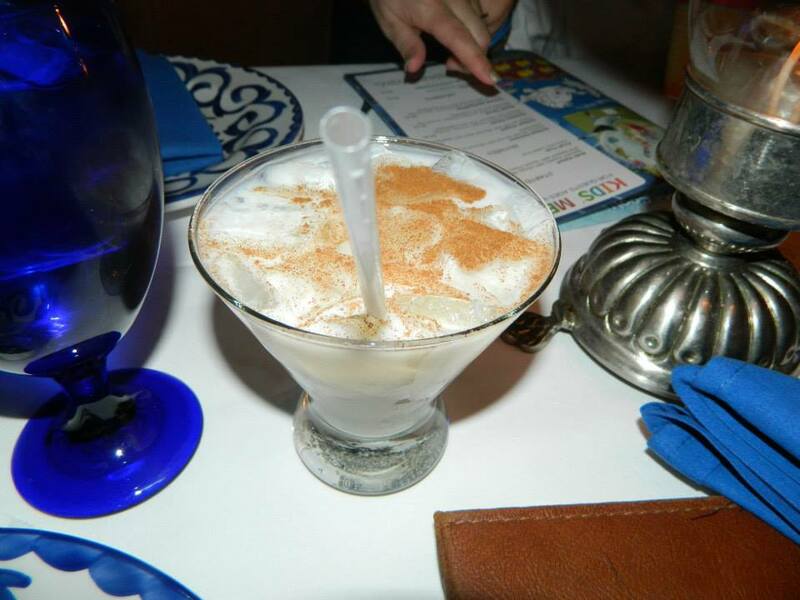 Horchata margarita (San Angel Inn and La Cava del Tequila, EPCOT Mexico pavilion) – This is quite a drink. Tequila, Rumchata, Fireball, agua de Horchata and a little cinnamon powder. Zoowie Mama. This stuff is INSANELY good. It’s like really good. I was close to putting La Cava’s tequila flight on here as well (which I also highly recommend) but this one edges it out slightly. It’s creamy and potent. To the making of, and subsequent forgetting of, memories. Previous postIs Pixar’s Inside Out amazepantz? Uhm, Yah.